This stunning watermill has been tastefully restored with 4 bedrooms plus a large stone . . .
Farmhouse 4-bed, commercial outbuildings, field, renovation project, nr Montrichard, Centre 41. This large stone farmhouse is 2 houses joined together and is partly habitable, with a part . . . Unique troglodyte renovation project to finish, near Montrichard, Loire Valley, Centre 41. This unusual troglodyte house has been largely renovated but not completed. There are a lot . . .
3-bed family home plus potential gîte/offices/B&B, pretty gardens, Montrichard, Loire Valley 41 Centre. This beautiful family home has 3 bedrooms plus renovated outbuildings for office space, B&B . . . Luxury 6-bed property, gîtes, heated pool, gymnasium, sauna, elegant garden & river views, Montrichard, Loire Valley 41. This elegant 6-bed house is light, airy and spacious. There are also 2 gîtes within the . . . This character house has 4 bedrooms, large courtyard, small garden, outbuildings and . . .
Beautiful manor house with 6 bedrooms and 4 bathrooms plus outbuildings, garage and . 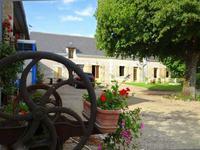 . .
Beautiful stone 5-bed farmhouse, swimming pool, potential B&B business, nr Montrichard, Loire Valley, Centre 41. This beautifully restored stone farmhouse has plenty of character and original features with . . . This 3 bed character house with garden is in the centre of a pretty village. All the rooms . . . 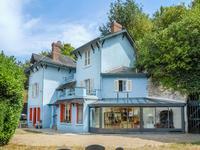 Stylish 5/6 bed house, large garden, village centre nr Montrichard, Loire Valley, Centre 41. Beautiful 5/6 bedroom house with large gardens and lovely views yet close to the village . . . 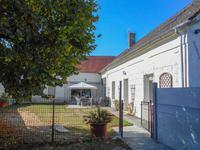 Elegant townhouse 7-beds, central location, B&B/rental potential, courtyard/garage, Montrichard, Loire Valley, Centre 41. The spacious 7-bed townhouse is in the centre of Montrichard, which is a very popular tourist . . . This 5-bed character house sits in a quiet hamlet 2km from the village of Angé. The popular . . .